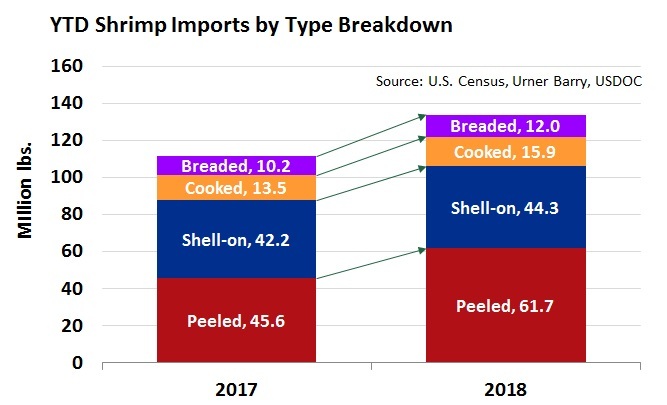 February 2018 shrimp imports were just released and show a 14.7 percent increase in total volume for the month and 17.9 percent higher YTD. Shipments increased from most major shrimp supplying countries. The trend of YOY increases in imports continue to be led by India where imports were up 21.1%.